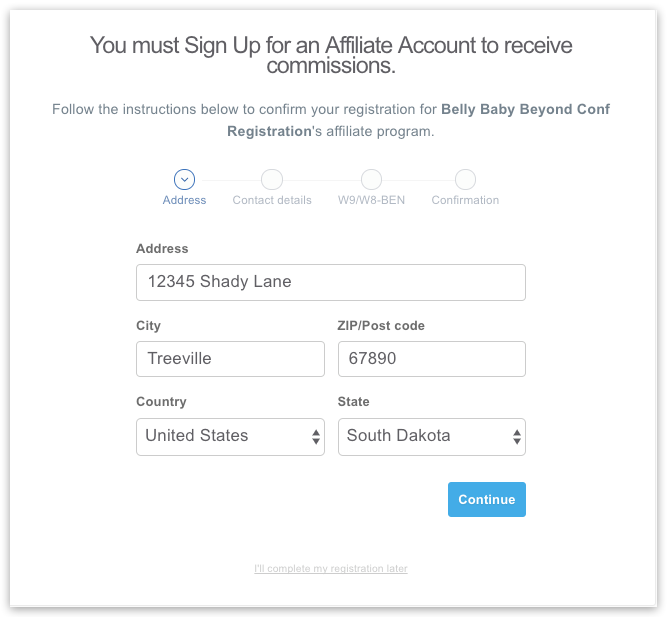 An affiliate is someone who sells (in this instance) registrations to the Belly Bay and Beyond Conference in May. In return, the Conference pays you a fee/commission ($100) for every referral who registers for the conference using the link you give them. 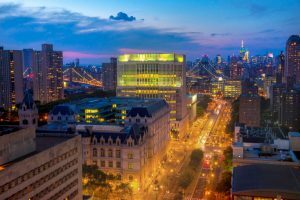 You can sell as many registrations as you want. Obviously if you sell 7, you will have reduced your own effective registration fee in half as an attendee! 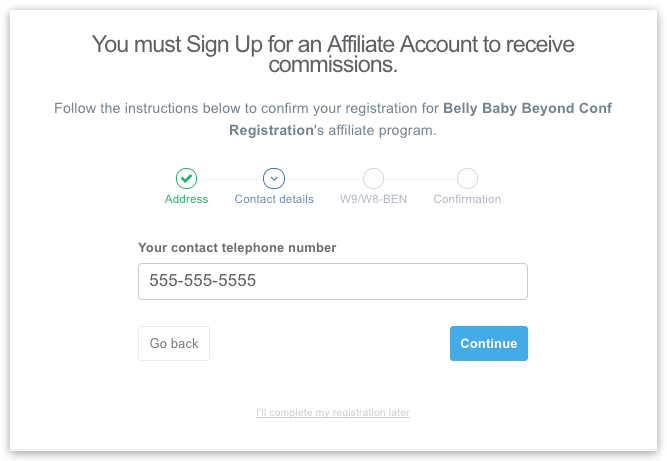 You must sign up for an Affiliate Account from Belly Baby Beyond/TAoPaN before you can begin earning commissions. This only has to happen once. 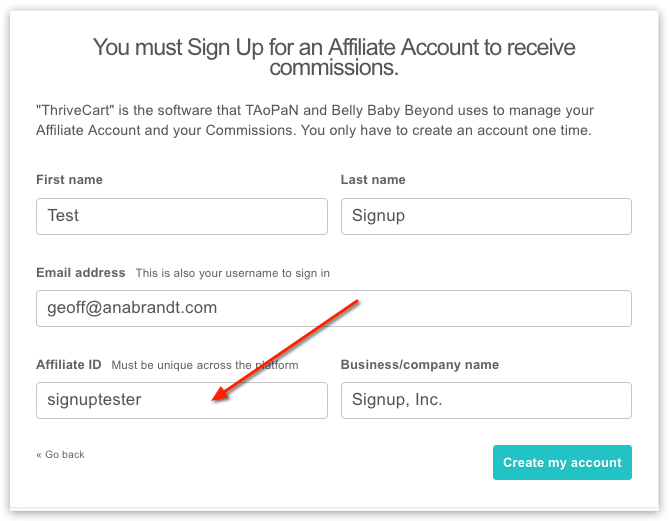 After you have an account, if Belly Baby Beyond/TAoPaN adds more products or services that are eligible for commissions, they will be added to your account automatically and you can begin selling them. When you start, you will have access to two products. One is the conference registration if someone pays the entire amount at once. The other is the conference registration if your referral would rather pay for the conference using a payment plan. 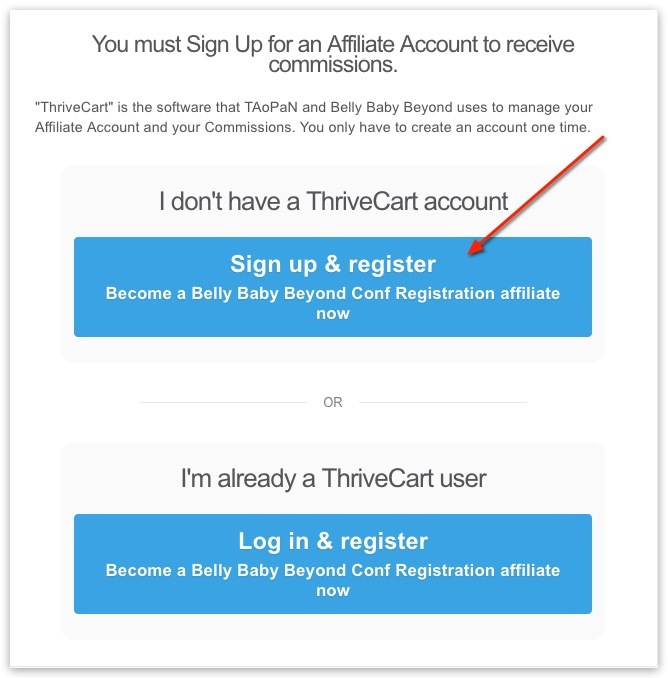 Each product type has its own unique link (that you give to your referral so they can purchase a Registration). 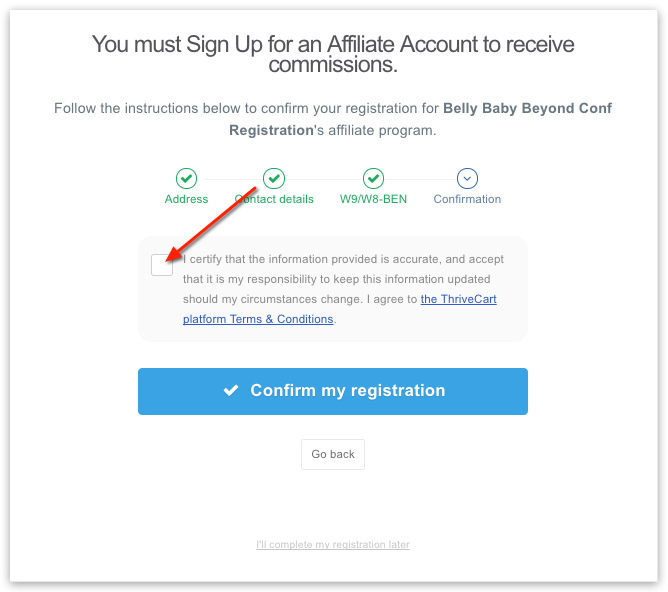 The signup button is on the Affiliates page, which is located on the Belly Baby Beyond main menu at the top of the screen. When you get there, make sure you click the top Blue button that says, “Sign Up and Register”. 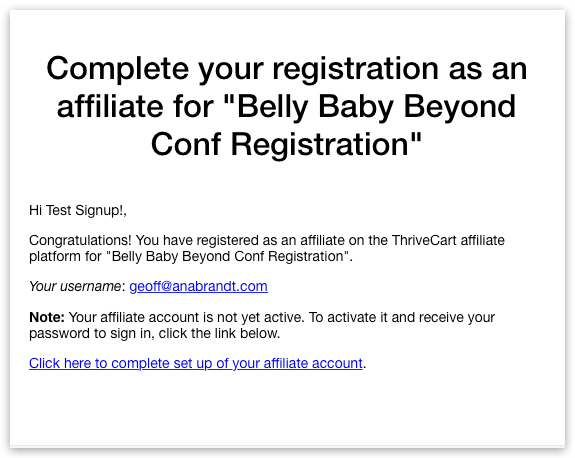 TAoPaN/Belly Baby Beyond is using software from a company called “ThriveCart” to manage your commissions. So don’t be confused when you see that name. It’s still Belly Baby Beyond! Fill out your address and press, Continue. Type in your phone number and click Continue. 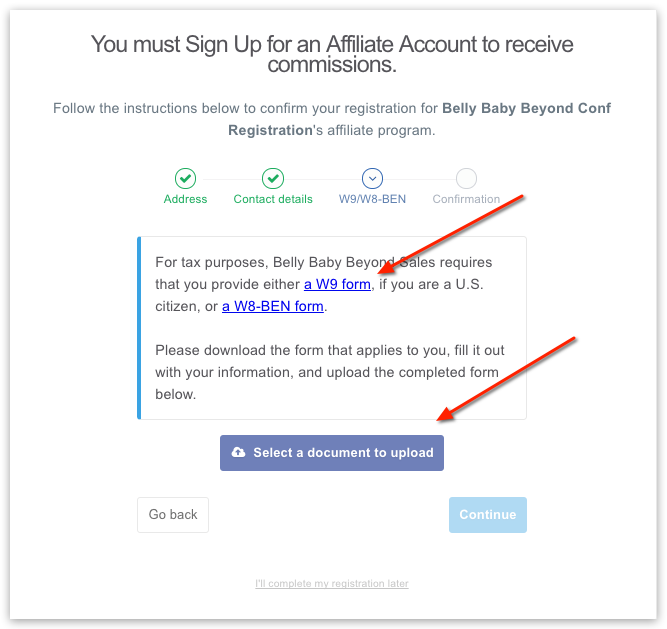 Before you can receive commissions as an Affiliate for Bell Baby Beyond, you must submit a W-9 form (or W8-BEN if applicable outside the US) so your commissions can be reported for income tax purposes. You may or may not be asked for it during the signup process. If you are, follow these instructions. By clicking the W-9 or W8-BEN link, the associated form pops up on your screen to be filled out and saved. 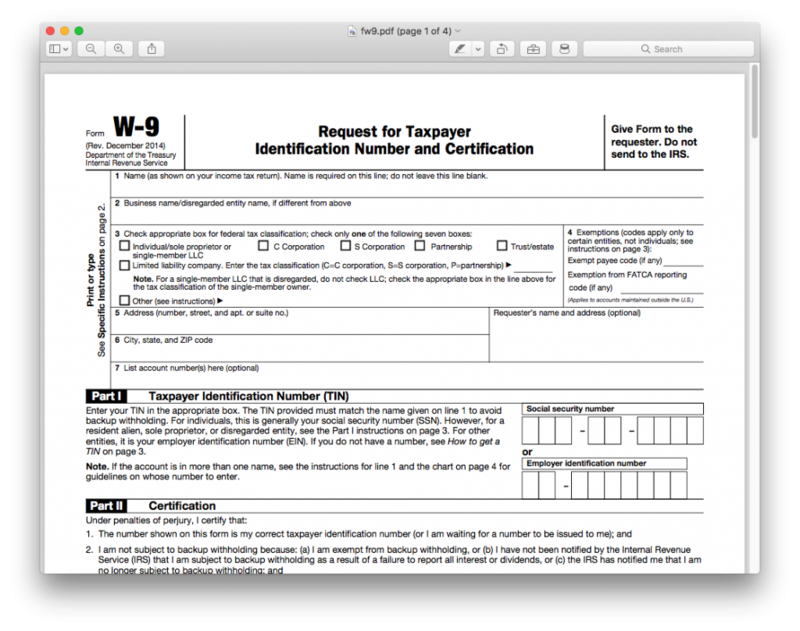 If you are not asked for a document, you’ll be taken directly to the Signup Confirm screen instead (further below in these instructions after the image of the W-9). After you fill out and save your W-9 to your hard drive, at the Affiliate signup screen, click the Blue “Select a Document to Upload” button and locate the W-9 you just saved and attach it. You’ll see a green progress bar count to 100% as the document uploads. When it’s done (100%), click Continue. Note the product you signed up to sell is shown at the bottom in the products tab. The green banner indicates you are waiting for approval in order to begin selling the product. Click the link in the email at the bottom to confirm your new account. You are then taken to a browser screen with a dialog box indicating a second email was sent to the same address with a temporary password so you may sign in to you new account. Congratulations! 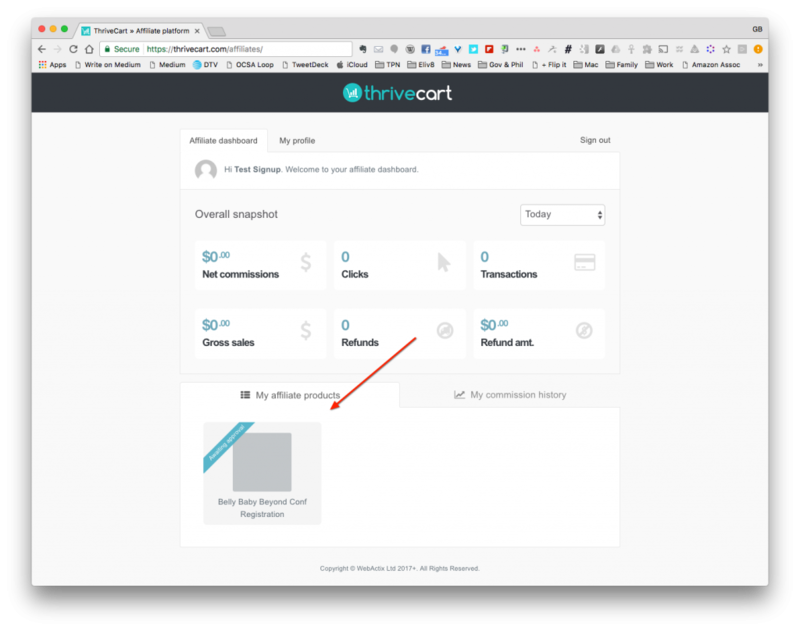 For a guide on how to use your control panel to get your affiliate link(s), manage your products, earn commissions and track your income, click here to visit the Affiliate Account Management page.